Koozå has more than 175 costumes and 160 hats. Counting all of the shoes, props, wigs and such, the total number of wardrobe pieces is 1,080. Kid Reporter Ella had the chance to sit down with Stéphan Landry of the Cirque du Soleil show Koozå for a behind the scenes interview. Really inspiring! Kooza Clown Interview from Bear James on Vimeo. 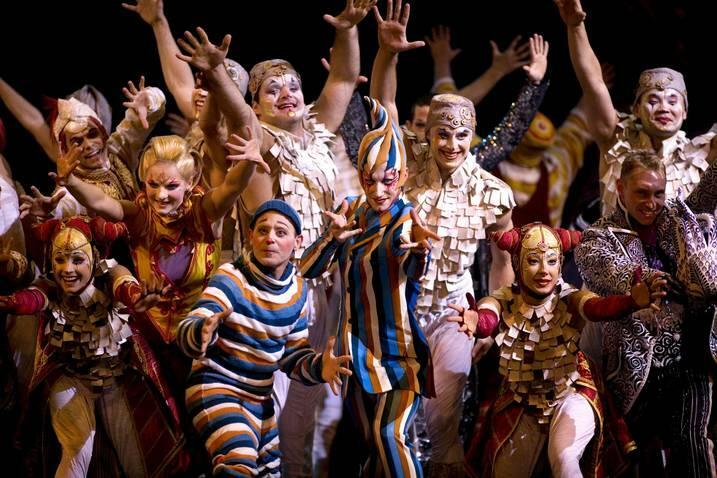 This fantastical performance is all the more enticing after listening to Stéphan and Ella talk about Stéphan's experience with the Cirque Du Soleil, his history in the performing arts, and what it's like playing a clown. Oh, and if it's one thing the Thinga team learned through this amazing experience, it's that you might be able to take the clown out the the performance but you can never take the clown out of the performer. Needless to say, proceed with caution- this clown might not be in costume but he's still just as funny as ever. Here's your chance to get tickets on Sunday October 4, 2015 at 5pm! Register for free and get an Issue of Boom Magazine, access to more amazing Thinga content, and enter for a chance to win 2 tickets to the show. Registering means you've entered. Ticket winners will be announced on this page and on Facebook, Instagram, and Twitter at the end of the day Thursday October 2, 2015. Winners will be contacted via email. As a guest you can keep this Thinga for 60 days. Sign up for a FREE account and keep this Thinga forever! What circus performers can you see in the dark? What did the egg say to the clown? Why is the clown sad? Because he broke his funny bone! A young girl was looking for a job in the paper and saw a vacancy for an acrobat. "Perfect," she thought. "I could do that standing on my head..."
"I lost my breath during the tightwire act"
"Outstanding performances. The contortionists were incredible. The magical narrative was touching. All ages should be going to this show"
"The devil hoops dudes were my favorite. So scary!!"